"The marriage covenant, by which a man and a woman form with each other an intimate communion of life and love, has been founded and endowed with its own special laws by the Creator. By its very nature it is ordered to the good of the couple, as well as to the generation and education of children. 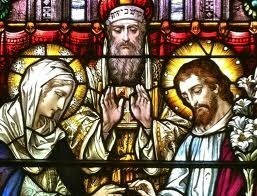 Christ the Lord raised marriage between the baptized to the dignity of a sacrament (cf CIC, can. 1055 # 1; cf. GS 48 # 1). 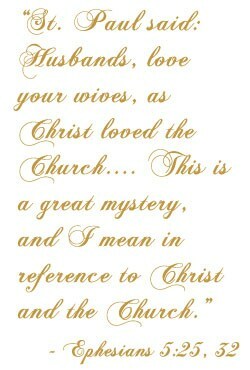 Since marriage establishes the couple in a public state of life in the Church, it is fitting that its celebration be public, in the framework of a liturgical celebration, before the priest (or a witness authorized by the Church), the witnesses, and the assembly of the faithful." From the Catechism of Catholic Church 1660, 1663. We invite all engaged couples who are either Saint Dominic parishioners or Saint Dominic alumni to contact the Parish Office at 516-922-4488 extension 3 to arrange for a Pre-Nuptial Investigation. The Engagement period is a time of much joy, happiness and planning. To assist you with your planning, you will be required to participate in our Pre-Cana Program, designed to help couples understand and visualize what they might face in their lives together. By listening and sharing their thoughts with other engaged couples, and the Program leaders, couples will have a better understanding of the importance of proper communication, decision-making and problem-solving, as well as the important role that the Church does, and will, play in their lives. Pre-Cana classes meet three consecutive Sunday evenings in the winter, spring or fall. Please contact the parish office at 516-922-4488 extension 3 for more information and to register. St. Dominic Church is under contract with a professional organist and vocalist. Permission for a guest organist/vocalist must be obtained from the Pastor. When such permission is granted, the fee for the guests are the responsibility of the couple. There is no reduction in the offering to the church. Your cooperation is appreciated.